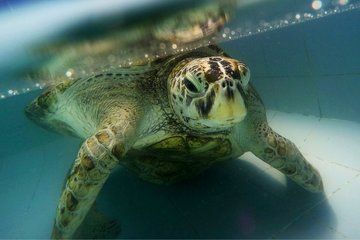 After undergoing surgery two weeks ago to remove 915 coins from her stomach, a sea turtle nicknamed "Bank" died due to complications, according to news reports. In Thailand, tourists throw coins at turtles due to a superstition that the activity brings longevity and good fortune. Bank swallowed the loose change that visitors tossed into her enclosure, which led to an 11-lb. (5 kilograms) mass in the sea turtle's stomach, Live Science previously reported. Veterinarians surgically removed the coins on March 6, in an hours-long procedure performed by five veterinary surgeons. "She was swimming and eating normally for a week," Chansue wrote, according to CNN. "We planned to return her to the Royal Thai Navy turtle pond on Thursday." Unfortunately, the sea turtle was found to be breathing too slowly on Sunday night (March 19). The veterinarians discovered Bank had a serious intestinal infection, and they performed an emergency surgery on Monday (March 20), CNN reported. The infection was too much for Bank to fight, however, and the sea turtle slipped into a coma before dying on Tuesday morning (March 21). "We are all very sad," Chansue told CNN. "We tried our best, but due to her physical weakness and multiple complications, including toxicity in her blood system, she couldn't make it." Bank's cause of death was blood poisoning, one of the vets told Reuters. An autopsy will be performed so the vets can learn from Bank and be better prepared to treat turtles in such a condition in the future, Reuters reported.